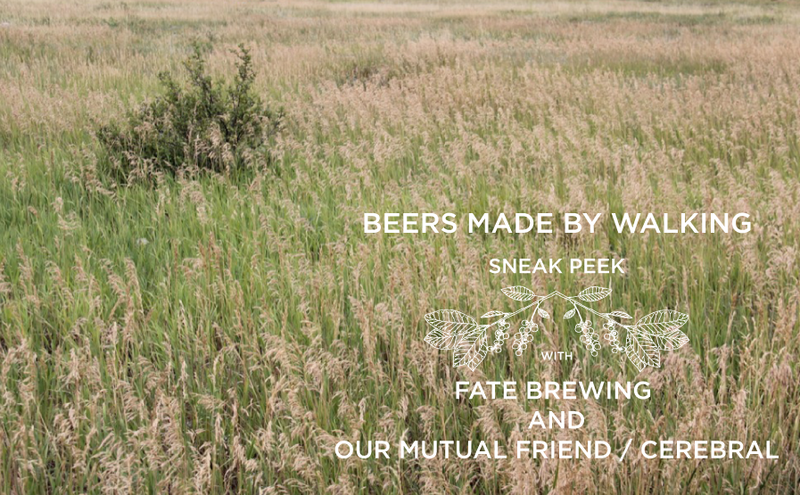 For our final sneak preview of this Tuesday's Beers Made By Walking event we wanted to show you how some of Colorado's newest breweries are creating beer that is inspired by their local scenery. Fate Brewing and Our Mutual Friend are only one year old, give or take a month or two, and are among the youngest breweries to be a part of this program. Cerebral Brewing isn't even an official brewery yet, but they worked with the crew at Our Mutual Friend to create a collaborative beer. Let's take a look at their hikes, and how the landscape influenced the beers that they made. Fate Brewing is located in Boulder, Colorado, and they have settled into the building that used to be the famous Jose Muldoon's Mexican Restaurant. With just under a year of operation, Fate has quickly made themselves a staple in the city, and a big hit with the college crowd that lives nearby. Their beers are named after deities of fate and destiny. Perhaps fate has something to do with making a drinkable product that looks to the immediate vicinity for it's inspiration and terroir? In any case, brewer Jeff Griffith, and marketing manager Hannah Lloyd, took to the trails at Boulder's Chautauqua Park. This is the same park that Boulder Beer Co., Colorado's oldest craft brewery, hiked for their BMBW beer. After a few miles of hiking in the open space and up towards the Flatirons, Jeff decided that an American Wheat style would be a nice base style to work with. He said that the tall grass surrounding them reminded him of wheat fields and that it would be the perfect base to add some unique ingredients. The copious amounts of honey bees flying among the wildflowers gave him the idea to add honey. Also inspired by the wild plants growing in the park - wildflowers, cactus, sages, pine trees, and others - Jeff decided he wanted to give the beer an extra wild characteristic to it, so he added Brettanomyces Yeast. This yeast is often referred to as a wild yeast in contemporary brewing because it shows up when brewers rely on spontaneous fermentation. Many people have come to love the various flavors of Brett yeasts, however many of it's traits and growth cycles are harder to predict than your traditional ale yeasts. In the end Fate brewed "WILD Flower Honey Wheat" an American Honey Wheat beer, hopped it with summit hops, and fermented it with an addition of Brett yeast. We're really looking forward to trying this beer! 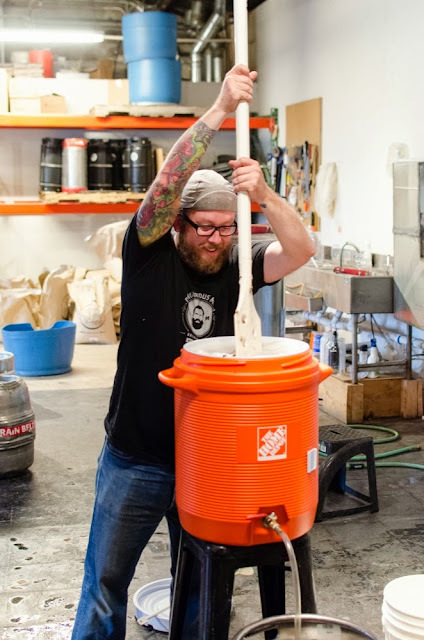 The collaborative beer between Our Mutual Friend and Cerebral Brewing was born when I asked Sean Buchan, one of the founders of Cerebral, if he'd like to make a beer for our program. Sean is a fan of Beers Made By Walking, attended the event last year, and has asked me numerous times how he could be a part of it. Cerebral isn't quite open yet, the plans for the brewery are in the works and you can follow their story here. Sean called his buddies at Our Mutual Friend and they agreed to collaborate with him [totally appropriate considering their name!]. There are a few constants in the lives that compose our brewery. One being that we are busy. 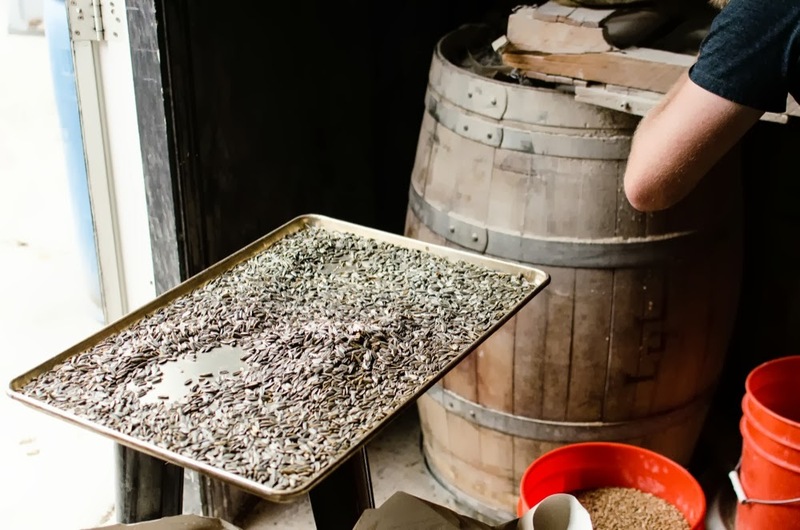 Opening a brewery requires time on many fronts and free time is pretty much spoken for. Some other constants are that dogs and babies must be taken for walks. These walks are within a few blocks of our homes and act as times to reflect and get inspired. Here in Denver, summer brings gardens and their requisite weeds. In our neighborhoods you can tell a gardener by a long lawn with a few too many dandelions and meticulously grown tomatoes, corn, or sunflowers next to them. We appreciate that and want to satisfy those folks who can let the lawn go, get in the garden and produce something pretty or better yet, pretty tasty. We produced a Saison to honor that idea. 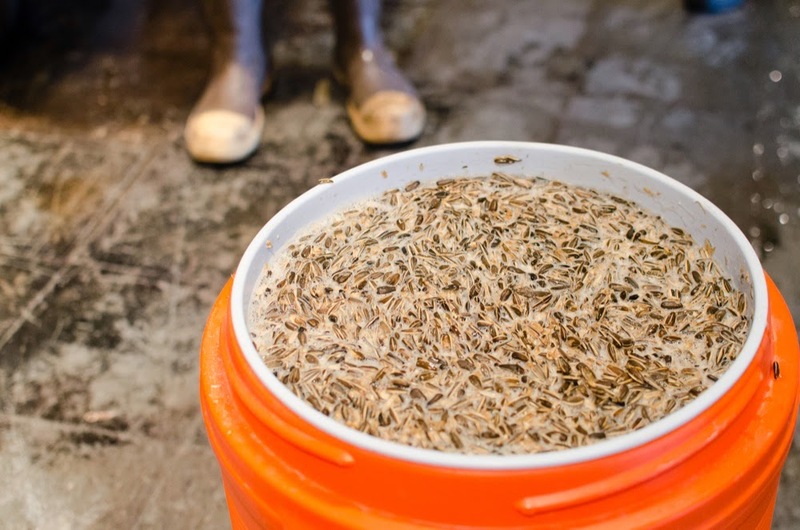 Traditionally, Saison was a beverage for farm hands and we thought we would bring that history to our Denver neighborhoods by adding dandelion and sunflower seeds grown in Colorado. 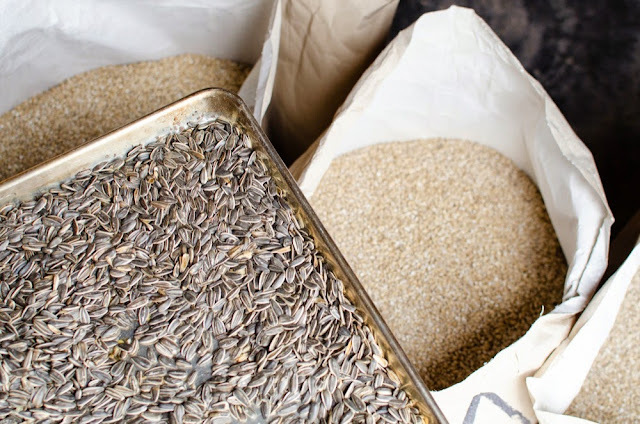 Our Mutual Friend is known for toasting their own grains so they put their spin on the sunflower seeds by toasting them for about 5 minutes at 350 degrees to really bring out the delicate oils from the seeds. The seeds should contribute an earthy graininess. Fresh Colorado dandelion greens were steeped into a tea and added during the secondary fermentation, these greens will give the beer a grassy bitterness that is different from the bitterness you'll taste in hops. Urban Flora and WILD Flower Honey Wheat, along with 15 other beers inspired by the landscapes of Colorado, will be available for one night only - October 8th, from 5-8pm, at Wynkoop Brewing in Denver. Tickets are $30 and give you unlimited samples of each beer. A part of the proceeds go to the Cottonwood Institute. You can get our updates via email, you can join us on Facebook and on Twitter. Also, connect with FATE on Facebook, Cerebral on Facebook, and Our Mutual Friend on Facebook, if you haven't already. See you on October 8th!